原來是Google Mail 誤以為 從其他帳戶檢查郵件 (使用 POP3)：[Check mail from other accounts ] 是駭客入侵,讓我白忙了一場. 註.IP 位址：209.85.192.147 (mail-pd0-f147.google.com.) 也是 Google 自己的位置,而且Check mail from other accounts 也使用了很多年了,真的是見鬼了. Firefox OS 是 Mozilla Firefox 美商謀智,所推出的 開放原始碼行動作業系統 . 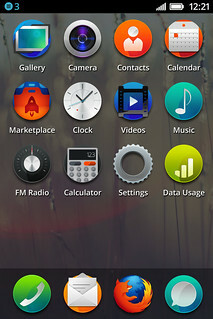 Firefox OS 中最特別的就是將 APP Web化,可以只使用 HTML5 技術開發出一個完整 APP,而且未來設計出的 Web 版 APP 可以跨平台(Android , iOS , WP 等) 直接執行之.